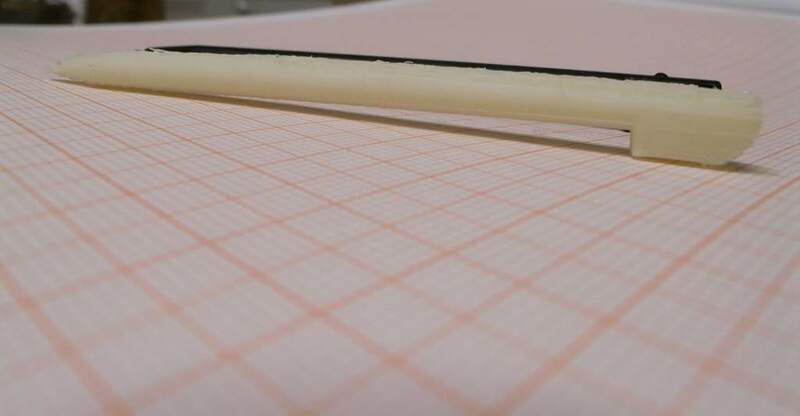 Today, antifuchs designed a stylus to be 3D printed on a home fabricator such as the RepRap or Makerbot. It was posted as a Thing on thingiverse.com. If you have a PDA or touch screen phone with stylus, you have probably lost your stylus at some point in time. This stupid little thing costs near nothing in materials, but is expensive to buy separately. But if you have a 3D printer at home, this means having reduced +/- 16 euros, mostly coming from inventory, packaging, handling and shipping costs to less than 16 cents. That’s a > 100-fold decrease in costs! Added benefit is that you don’t need to wait days for it to arrive. Well, less than 10 minutes probably. That’s the second 100-plus-fold decrease, time! These are products for which the current distribution model cannot compete with a digital distribution and print-at-home scenario. This and similar products clearly show that once RepRaps and Makerbots are more common, this will generate an immense societal value! 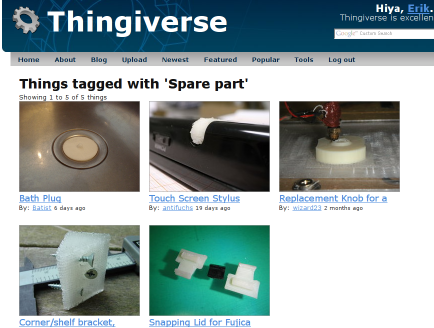 This way we can keep track of the kinds of user-contributed products surface on thingiverse! You may be right about shipping non-fab-able ‘parts’. I do think that the CD is another example of an odd distribution medium for information. It would require almost as much plastic as several styli and some phone parts. Especially if the STLs are in the megabyte range, a download would be a lot cheaper. Added benefit is that the information doesn’t need to be static. You’re absolutely right on the general idea of manufacturer’s making modules that could be finished or utilized at home in many different (customized) ways. This will be more of a co-creation process, where manufacturers benefit from the creativity and content produced by an eager designer community. The should, however, create the circumstances where sharing is promoted and integration with their ‘modules’ is made possible practically and legally.